There is a place where your generosity can make a difference; when you can touch individual lives and make a lasting contribution to the healthcare community. To make a contribution or to learn more about the Sakakawea Medical Center Foundation contact the Foundation Office at 7017487218. The Sakakawea Medical Center Foundation was formed to help provide the philanthropic and community resources needed to improve the health and welfare of residents in our service area. The primary focus is to help provide needed technological and facility advancements, allowing us to have access to high quality, yet affordable, healthcare near our homes and businesses. The secondary focus is to provide funding for further education of our healthcare professionals. We are committed to providing community health education and preventive medicine programs. 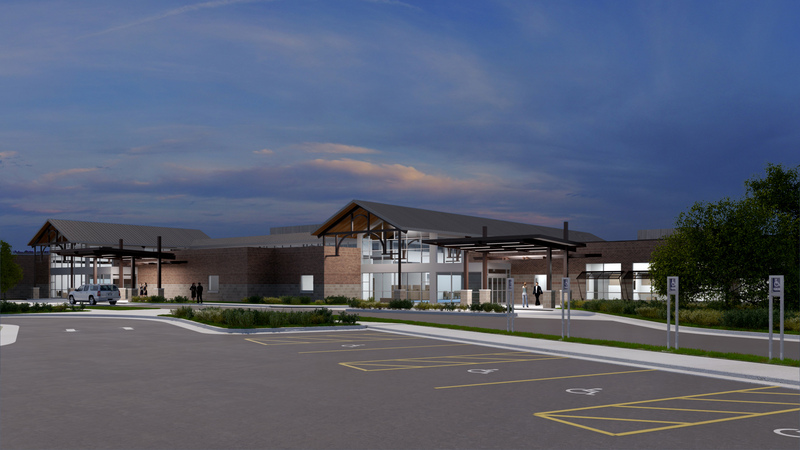 Contributions to the Sakakawea Medical Center Foundation are an investment in the future of healthcare in the Mercer County area. By planning for our future healthcare needs today, we are establishing a foundation in healthcare delivery that will serve many generations to come. Donations to the Sakakawea Medical Center Foundation provide the resources necessary to provide quality health care close to home, now and for our future. The Sakakawea Medical Center Foundation receives donations from individuals, families, businesses, and charitable organizations. An annual fund drive is conducted to encourage participation within the communities we serve and pledges are always welcome. The Sakakawea Medical Center Foundation accepts and appreciates all donations regardless of size. All supporters and contributors are recognized throughout the year. HELPFUL EMPLOYEES RESPONDING TO OTHERS (H.E.R.O.) is a special group formed by employees to be a part of the Sakakawea Medical Center Foundation, and to join with the community in supporting, building, and maintaining an excellent healthcare system at Sakakawea Medical Center (SMC). Employees at SMC participate through payroll deduction; those that participate also have a vote in allocating HERO Funds for specific projects or equipment needed within the medical center. To respect the wishes of all contributors, anonymity requests are always honored. The Sakakawea Medical Center Foundation maintains status as a non-profit organization, meaning that all donations are fully tax deductible. If you have any questions regarding the tax benefits of donating, please feel free to contact the Foundation. The Sakakawea Medical Center Foundation is supported by the communities we serve and many dedicated individuals. The Foundation committees are composed of a diverse group of people who are committed to health care in Mercer County and will offer assistance with any concerns regarding contributions and participation. The Sakakawea Medical Center Foundation Annual Tax Return for the previous fiscal year is available for review by request at the Foundation Office located at 510 8th Ave NE, Hazen, North Dakota. You can contact the Foundation Office at for information.